Safely store manuals and documents in these weather-resistant polyethylene Document Storage Boxes. 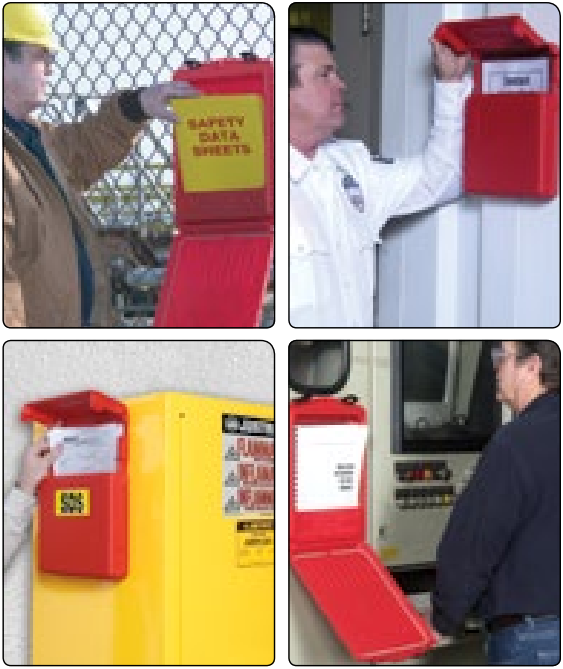 Each Document Storage Box is bright red for high visibility and features a smooth area for labels. Use the label pack provided that includes two blank labels and labels printed “SDS” and “Instruction Manual”. Boxes come with heavy-duty double-sided tape for easy installation. Large size accepts SDS binder; medium and large sized units accept padlock when security is a concern.